On 25 May,2018, a new landmark privacy law called General Data Protection Regulation (GDPR) takes effect in the EU, this will impact every organisation, in every geography. If you process or collect data from individuals either by selling goods or services to citizens in other EU countries then you will need to comply with the GDPR, even if you are located outside the EU. Businesses can be fined up to 4% of annual global turnover for breaching GDPR or €20 Million, this is the maximum fine that can be imposed for the most serious infringements. When you collect personal data you currently have to give people certain information, such as your identity and how you intend to use their information. This is usually done through a privacy notice. Under the GDPR there are some additional things you will have to tell people. For example, you will need to explain your lawful basis for processing the data, your data retention periods and that individuals have a right to complain to ICO if they think there is a problem with the way you are handling their data. 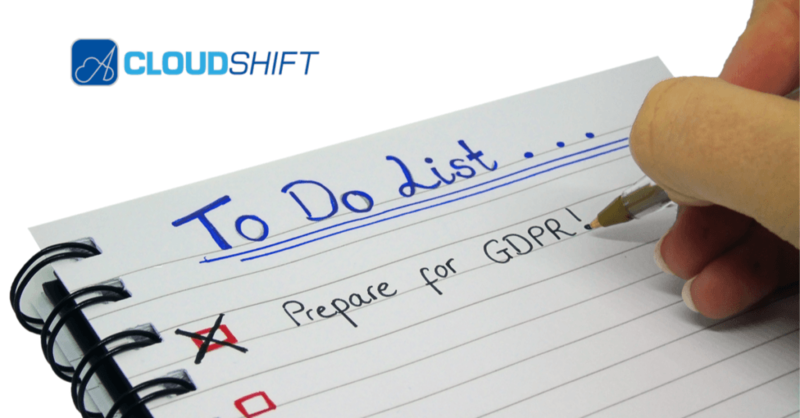 If you are geared up to give individuals their rights now, then the transition to the GDPR should be relatively easy. You should read the detailed guidance the ICO has published on consent under the GDPR, and use our consent checklist to review your practices. Now is the time to implement these changes to ensure a smooth transition come May,2018. To Find out more about how Salesforce is preparing for GDPR and for further information and resources.